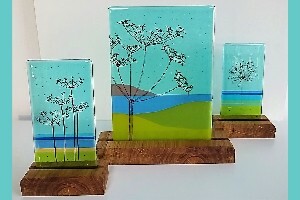 I live and work in the Tamar Valley, Cornwall, making decorative fused glass pieces for home and garden. I love colour and am very influenced by the blues and greens of our beautiful coastline. I enjoy taking on commissions and can personalise pieces for that special gift. 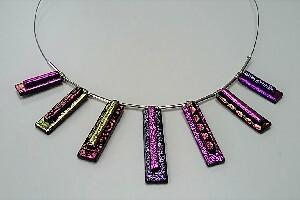 I also make a wide range of dichroic glass jewellery.